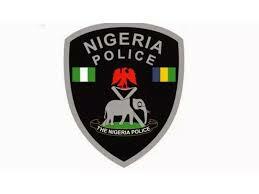 A new Commissioner of Police has resumed duty in Delta State Command. He is CP Adeyinka Adeleke Bode. A new Commissioner of Police has resumed duty in Delta State Command. He is CP Adeyinka Adeleke Bode. The new CP is taking over from DIG Anthony Ogbizi Michael fdc, psc, who has been redeployed to Force Headquarters due to his elevation to the rank of Deputy Inspector General of Police, DIG. CP Adeleke Adeyinka was born on the 13th of May, 1965, enlisted into the force as ASP Cadet on the 3rd of March, 1990, he is well read, holds various degrees in diverse disciplines. B.A (ED), LLB, MBA. He had served in various formations and Commands, until his recent posting to Delta State Command, he was the Force Quarter Master, Force Headquarters Abuja. He is married to Mrs. Bola Adeleke and blessed with three (3) children, love sports, reading and travelling. He has attended various courses both Local and International. He can be reached with GSM No. 0803344019. While taking over from the outgoing DIG. He promised to build on the existing security mechanism on ground towards enthroning the reign of peace and security in Delta. He advised members of the public to always cooperate with the Police and other security agencies at all times by availing them with the vital necessary information that could help nip every crime on the bud. In the handing over remarks of the outgoing DIG Anthony Ogbizi Michael fdc, psc, he thanked the State Government and the people of Delta State for their cooperation with him and urged them to extend the same cooperation to his successor.